Although decorations have been springing up around the parks over the past couple of weeks, today marks the official start of the holiday season at the Disneyland Resort. And over in Disney California Adventure, this means new opportunities for the newly expanded or renovated parts of the park. Buena Vista Street has been decked out in a classic noel fashion, with Christmas lights, wreaths, and garland strung out on building facades, and this lovely multi-story Christmas tree standing tall over between Elias & Company and the new Partner's Statue. 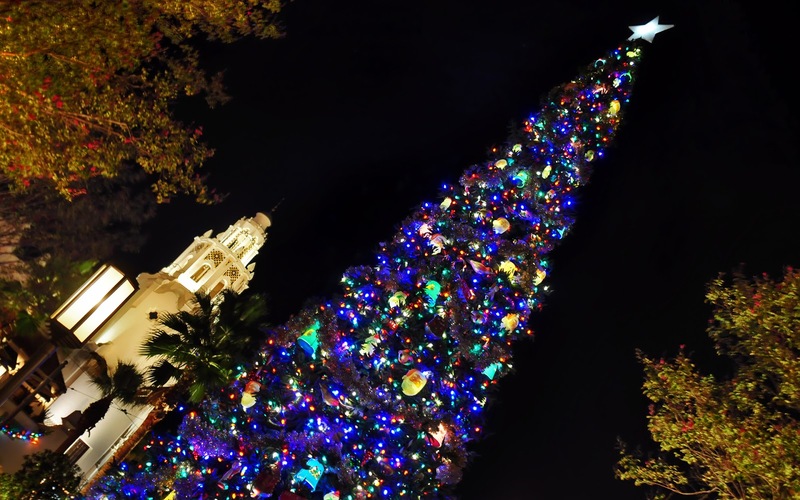 It's a majestic sight and makes for a great juxtaposition with the nearby Carthay Circle Restaurant. I have no doubt Buena Vista Street will fit right into the wonderful Christmas tradition that's been established at the Resort. The whole area is full of holiday charm! The new Christmas tree at Disney California Adventure is a sight to behold!